Replace-a-top™ takes advantage of your still good factory hardware, and gets you all new fabric and windows. This application includes replacement half door skins. Replacement doors skins attach over factory original door frames. Heat-sealed seams plus heat-sealed DOT-approved vinyl windows (31% tint) meet U.S. and European regulations. 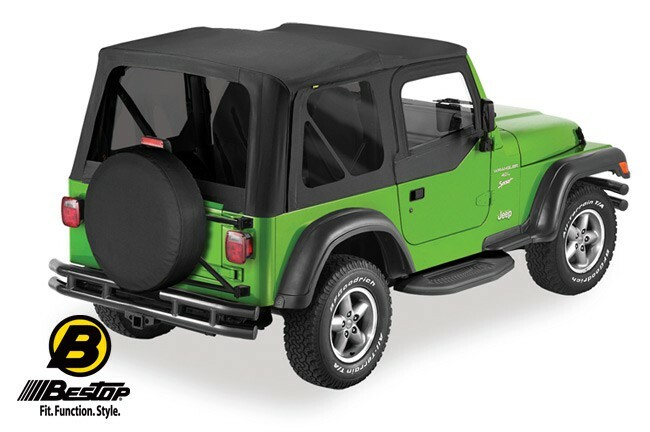 Bestop is the original equipment manufacturer for Wrangler, Tracker/Vitara, Amigo, and other SUV soft tops worldwide.